The Belarusian opposition seems to be heavily dependent on financing from abroad. During the past 15 years the Belarusian government has cut all the possibilities for it to get sponsors inside the country. Belarusian businessmen attempting to sponsor the opposition are being persecuted. The best known case is that of Anatoĺ Krasoŭski, a businessman who, together with the opposition leader Viktar Hančar, was abducted and presumably killed in 1999. 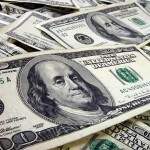 Foreign financing of the opposition in Belarus is conducted in accordance with the US Belarus Democracy Act, among other regulations. According to the widespread rumours, foreign financing for the opposition comes through organizations in Poland and Lithuania. The scope of corruption that accompanies financing of the Belarusian democratic opposition is unknown. The lack of transparency has caused scandals. For instance, former head of the Lithuanian Republic Parliamentary Committee on National Security recently said that the death of a Lithuanian state security officer in 2006 could be related to his investigation of the corruption involved in financing the opposition in Belarus. This hypothesis, however uncertain, has appeared immediately after the officer’s death in 2006 and came up again in late 2009 (Read the story on Delfi.lt). It seems difficult to accuse the opposition of the situation: in today’s authoritarian Belarus its material and moral degradation is, unfortunately, a natural process. On the one hand, foreign financing helps keep afloat several organizations that would have vanished otherwise. Existence of these organizations is important for the promotion of human rights, democratic values, and a vision of a different Belarus. On the other hand, dotations prevent the opposition from regeneration and adaptation to the current conditions. And, of course, where there is money, there is corruption – not only within the Belarusian opposition, but also among relevant parties in Poland and Lithuania. In the past, there have been scandals around the Kalinoŭski Education Programme. 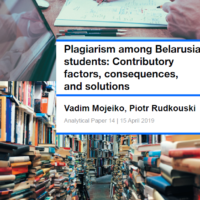 The programme was created after the presidential elections campaign of 2006 to provide study places abroad for students expelled from Belarusian universities for political activism. In fact, according to numerous evidence the programme had soon started accepting applications from regular students providing them with false evidence of political repressions against them. How similar this situation is to dozens and hundreds of people queuing up for a status of a political refugee in the US and several European countries – also, with only a small part of them having really experienced repressions in Belarus. For instance, the Swiss Russian-speaking newspaper Nasha Gazeta reports of 76 Belarusians that have applied for political asylum in the country in 2009 (see story in Russian). This is much more than the number of political refugees from countries like Turkmenistan or Uzbekistan that seem far more authoritarian. There has hardly been any news in the Belarusian media of notable Belarusian political activists asking for political asylum in Switzerland in 2009. This does not diminish the gravity of political repressions that do take place in Belarus. However, it is obviously wrong to conceal economic reasons for emigration behind political martyrdom. It just seems much like the wrong people often getting help instead of those who really need it. Neither corruption related to financing, nor the pseudo-political emigration have ever been seriously investigated by the Belarusian media. Being primarily a propaganda tool, the state media lacks objectivity and professionalism, while the opposition media is largely dependent on foreign financing itself. An investigation of these facts – either by the Belarusian media, or even by a foreign agency, is necessary, although it seems hardly possible before the political climate in Belarus improves. Belarus, a small post-Soviet state once hardly distinguishable from Russia and chronically misspelled in the Western press, has been making more and more headlines lately. And if the Russian-Belarusian military exercises with deployment of Russia’s most advanced S-400 air defense system weren’t enough, the 2010 Russian-Belarusian oil row is bound to make the West anxious. Moscow and Minsk failed to close a new deal after Russian-Belarusian agreement on crude oil export tariffs expired on the New Year’s Eve. As the two states argued over pricing, Russia had briefly halted supplies to the Naftan and Mozyr refineries to show Minsk who the boss is. Flows were restarted on Jan. 3. To pacify its customers in the EU, Russia promised that the export flow would continue with no further interruptions. Western Europe is slow to celebrate, however; it remembers that last January similar steps preceded a complete shutdown of gas flow through Ukraine. The dispute has already pushed oil prices up to $81 a barrel, their highest in nearly 15 months. Today, on the so-called Old New Year’s Eve, Moscow again warned of reducing the oil flow, complaining that oil firms are unwilling to confirm volumes. To spite Moscow, the national electric company of Belarus threatened to stop transmission to Russia’s Kaliningrad in return. What are Minsk and Moscow arguing about? The obvious aspect of the argument is financial. The 1.3 million barrels of oil passing each day through the Belarusian part of the Druzhba pipeline feed both the internal market in Belarus and the EU markets. Last year, Belarus imported Russian oil at only 35.6 percent of the current crude export tariff. This year, Moscow wants Minsk to pay in full for about 14.5 million tons a year of crude that is mostly refined and re-exported. Russia graciously allowed Belarus to continue buying the oil for its domestic needs (about 6 million tons) duty-free. This is not enough for Minsk, however. The less obvious aspect of the argument is political. It is Belarusian loyalty that explains why the country enjoyed some of the lowest energy prices of any post-Communist state since the dissolution of the Soviet Union. Importantly, the profits from reselling Russian oil have been the main buttress of Belarusian President Alyaksandr Lukashenka’s authoritarian regime. Today, nearly two decades since the Soviet collapse, Belarusian loyalties are shifting. Although he still remains persona non grata in the EU, in the past few years Lukashenka has been conspicuously flirting with the West as he charts a foreign policy course increasingly independent from Moscow. Lukashenka released political prisoners, pardoned American lawyer Emanuel Zeltser, refused to recognize the breakaway republics of South Ossetia and Abkhazia, and even expressed readiness to participate in the EU’s Eastern Partnership. Angered by Minsk’s disobedience, Moscow used sticks and carrots to pull Belarus back into its “brotherly” embrace. The sticks have so far had an opposite effect, however. After Moscow had banned Belarusian dairy exports last summer, Minsk boycotted the CSTO summit in Moscow. In 2009, Russia canceled the last $500 million tranche of its $2 billion loan to Belarus, but Belarus did not budge, having received generous financial aid from the IMF. It is continuing on the path of defiance as it is trying to secure cheap oil prices from Moscow today, used to the preferential treatment from Russia and aware that the Druzhba pipeline transmits nearly one third of European oil. Moscow's long-term goal is to take control of energy distribution infrastructure throughout the former Soviet Union. 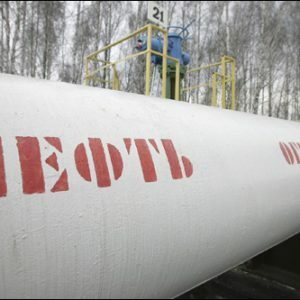 This aim is clearly stated in Russia's energy policy, and the previous round in the dispute between Belarus and Transneft-which also sparked a brief cutoff of Russian oil supplies-was ended in part by an agreement for the Russian pipeline monopoly to take a 50 percent stake in Belarusian pipeline operator Beltransgaz. Gazprom has exerted similar pressure on Ukraine over Kiev's outstanding debts. If Moscow were to succeed in completely taking over the Belarusian energy distribution network, it would not only be in a stronger position to influence Minsk's foreign policy, but the move would also improve Moscow's market power, and hence its political leverage, vis-à-vis Europe. Uncertainty about deliveries through Belarus could also lead to higher global oil prices, just as Western economies are beginning to emerge from the recession. That in and of itself should be reason enough for the Europeans — and their U.S. allies — to pay close attention to a seemingly obscure customs dispute. Read the full text of the Foreign Policy article at foreignpolicy.com.